Blog What is Lighting Layering? What is “Light Layering?” How do you layer lighting? With lighting, one size/style/fixture does not do it all. Different needs have different requirements, and lighting has an amazing ability to create a mood and atmosphere with the proper design. What are the components to Lighting Layering? Let’s take a look…. Ambient Lighting is your universal, general purpose lighting usually done from overhead and provides a soft wash of overall lighting. It enables you to see and move around. Task lighting is incorporated to perform a certain function, including safety. Outdoor kitchens require lighting to prep and cook food, stair steps require illumination to keep you safe, dining areas require lighting, pathways must be made safe and accessible with proper fixtures and lighting. Accent lighting is used to highlight and draw attention to beautiful and/or striking things. Waterfalls, trees and shrubs, sculptures, house numbers and other things like that. Balance and moderation is definitely key here. Lighting is important design element both indoors and out. Each of the three layers employs different fixtures and techniques to achieve their desired effect. 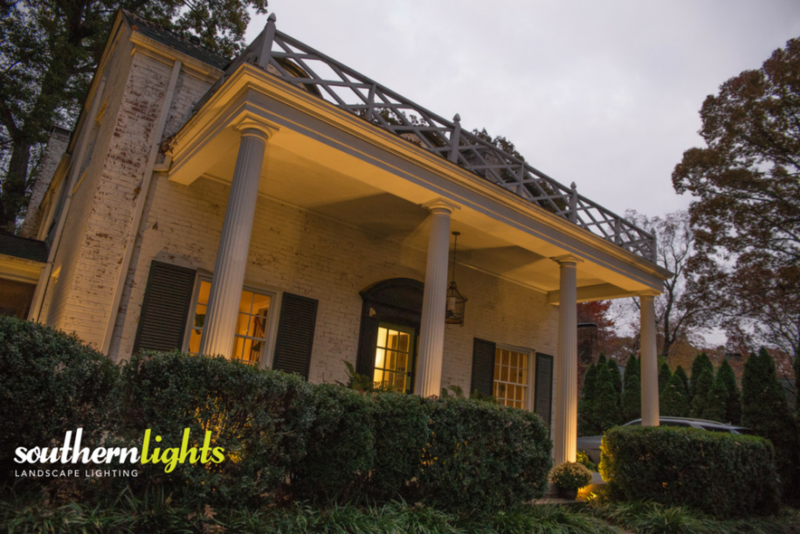 Use all the tools and tricks available by hiring a professional who can show you how to properly layer your outdoor lighting to create a beautiful, functional, welcoming and safe atmosphere.